Note: This is based on Pieter's post on servethehome.com and describe how I managed to flash my M1015 card with a UEFI based ASUS mainboard. The firmware in this package is already the latest release P15 (November 2012) by LSI. You can check here if there is a never version available when you read this. I also added Intel's Tianocore EFI Shell 1.0 (shellx64.efi) that we need later for flashing. 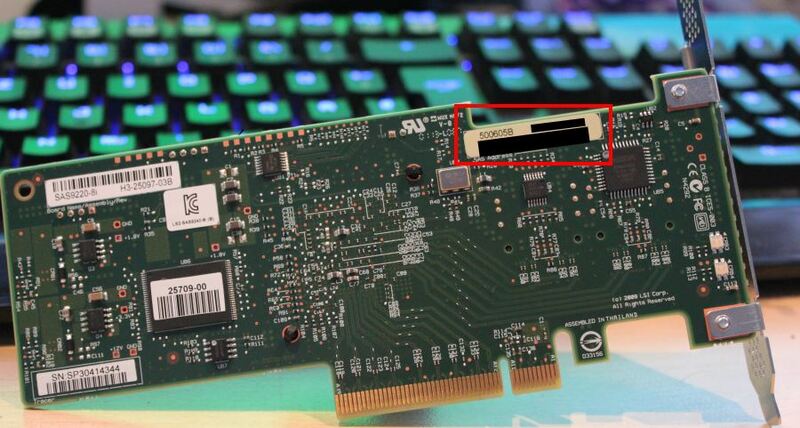 We need this address later for flashing and you can find it on a green sticker on the backside of the card. It should start with "500605B" fallowed by some hyphen separated groups of digits and letters. 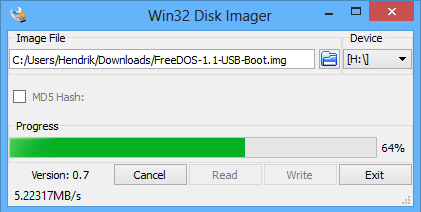 Download the FreeDOS 1.1 USB Boot Image here and the Win32 Disk Imager here. Open "FreeDOS-1.1-USB-Boot.img.bz2" with 7zip or Winrar and extract the "FreeDOS-1.1-USB-Boot.img" image file. When done copy all the file from the extracted firmware archive on the top to the root of the USB stick (should now named like "FREEDOS1~1A"). Restart you computer and boot from the stick (I have to press "F8" to enter the boot menu). Now comes the tricky part. When using the "sas2flash.exe" from FreeDOS you will get an error like "ERROR: Failed to initialise PAL. Exiting Program." In order to flash with a UEFI mainboard we need to use the "sas2flash.efi" file that require to execute it from a EFI shell. As I already said on the top the firmware archive contains a file named "shellx64.efi" this is such a shell. 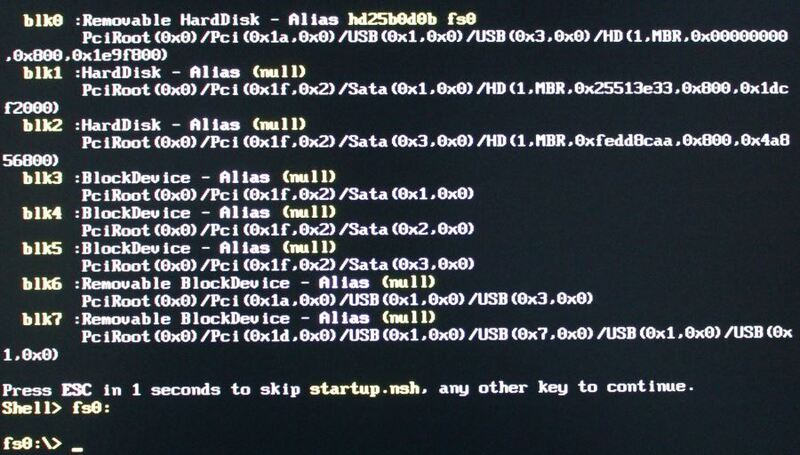 My mainboard (ASUS Maximus V Extreme) want this "shellx64.efi" file on the root of the stick, however if you have another manufacturer you probably have to search how to start this shell. To flash other modes take a look at Pieter's post on the top.